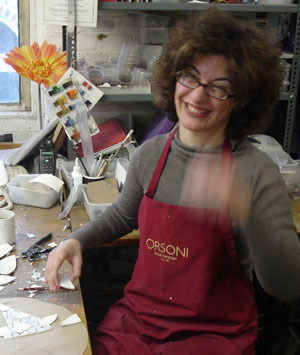 The Greek artist Natalie Pisante was kind enough to fly to England from her home in Israel specially to work on the Made in England project. She spent a number of days making samples -- experiments in the treatment of glazed and unglazed ware. This helped in the process of deciding how to treat the smaller circles in the wall panel.